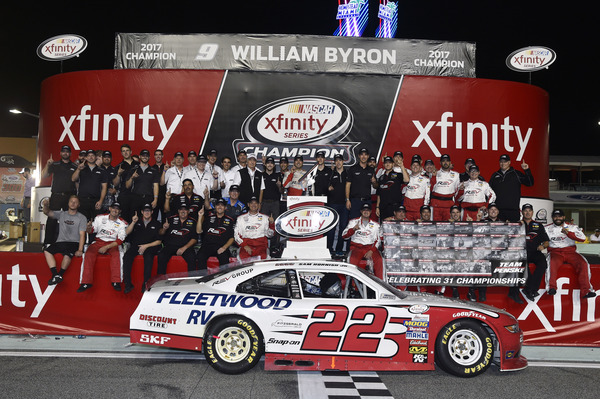 When the green flag waved on the 2017 NASCAR XFINITY Series (NXS) season at Daytona International Speedway in February, Team Penske looked to rebound from a 2016 campaign that simply did not meet expectations. The goal for the organization’s championship-winning NXS program was simple, win as many races as possible and bring home the NXS Owners’ title, a feat that Team Penske had achieved in three of the past four seasons entering 2017. The team proved to be up for the task in 2017, but it certainly faced and overcame its challenges along the way. Over the course of the season, crew chief Greg Erwin and the No. 22 Ford Mustang team prepared race-winning cars for five different drivers. While that might sound simple, matching driving styles and setup preferences successfully with multiple drivers was no easy process. Turning challenges into opportunities, the team went on to record one of the most consistent and successful seasons on record at Team Penske. Splitting time in the No. 22 Ford Mustang in 2017 were Monster Energy NASCAR Cup Series drivers Brad Keselowksi, Joey Logano and Ryan Blaney. Also joining the driver lineup was former INDYCAR champion and 2006 Indianapolis 500 winner Sam Hornish Jr., who also had enjoyed a productive NASCAR career for Team Penske. In addition, NASCAR Camping World Truck Series regular and eventual Championship Four finalist Austin Cindric made his XFINITY Series debut at Road America for Team Penske in August. For Keselowski, the 2010 NASCAR XFINITY Series and 2012 Monster Energy NASCAR Cup Series champion, the season began with his usual consistency. Scoring two top-five finishes to open the season, Keselowski helped position the team solidly in the discussion for the 2017 Owner Championship from the outset. The driver from Rochester Hills, Mich., went on to record his first of two victories at Pocono Raceway in June driving the No. 22 SKF Ford, and then he visited Victory Circle in the Fitzgerald Glider Kits Mustang at Richmond International Raceway in September for the last of his nine series starts this season. In all, Keselowksi never finished outside the top 10 in NXS competition, and he recorded seven top-five finishes. Logano split his 10 series starts between both the No. 22 and the No. 12 Ford Mustang, which competed in select races in 2017. Logano drove the No. 12 REV Group Ford to victory at Las Vegas Motor Speedway in the third race of the season. He came agonizingly close to several other victories in the No. 22 Mustang over the course of the season, but varying circumstances kept the Middletown, CT native from adding another tally to his 2017 NXS win total. Logano also proved to be consistently productive with only one finish outside of the top 10, which came as the result of an engine failure at Texas Motor Speedway. Logano posted nine top-10 and six top-five finishes throughout the season. He also won three poles for the team, including a third-consecutive pole award at Watkins Glen International, where he finished second – just one spot shy of a third straight victory on the upstate New York road course. What a weekend in Homestead-Miami. Roger Penske won the 2017 @NASCAR_Xfinity Series Owners' Championship and @Keselowski finished the season 4th in 2017 NASCAR Cup Series standings. We can't wait to be back on track in 2018! NASCAR’s new rules limiting starts for Monster Energy NASCAR Cup Series veterans also added intrigue to the 2017 XFINITY Series season. 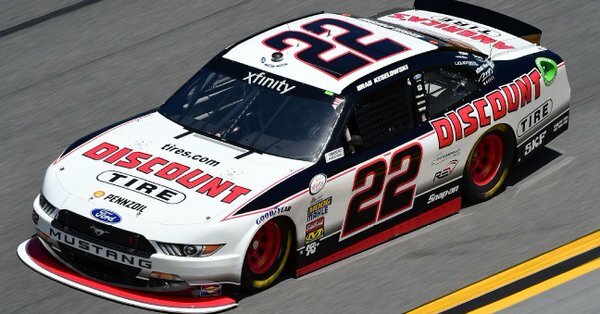 With Keselowski and Logano limited to a maximum of 10 NXS starts, that meant additional seat time for young guns like Blaney, who did not disappoint in his 13 starts for Team Penske in the series. Blaney scored a victory in both the No. 12 and No. 22 Mustangs, along with seven second-place finishes, and only one result outside of the top 10, due to late-race contact with another competitor. Subtracting that 26th-place result at Chicago, Blaney produced a remarkable average finishing position of 2.25 in his 12 best races. He scored his first victory of the year in the No. 12 Snap-on Tools Ford Mustang at Charlotte Motor Speedway in the spring. Blaney won again, this time behind the wheel of the No. 22 Fitzgerald Glider Kits Ford at Dover during the XFINITY Playoffs, which helped propel the team into the next round. Blaney drove every companion NXS playoff race for Team Penske, with the exception of the event at Homestead-Miami Speedway, where he was ineligible to compete as a full-time Cup Series driver. Despite Blaney’s incredible season, one of the biggest moments of the year belonged to Hornish as he made a triumphant return to Team Penske. The Defiance, Ohio native scored a bucket list victory in August at his home track – the Mid-Ohio Sports Car Course. Hornish dominated the event as he started from the pole and led 61 of the 75 laps before parking the No. 22 Discount Tire Ford back in Victory Lane for the first time since Texas in 2015. With stellar performances in the NXS playoffs from both Hornish and Blaney, the No. 22 team advanced to Homestead-Miami Speedway with a chance to secure the team’s fourth Owner Championship. Competing against the three top teams over the course of the season, including eventual truck series champion Christopher Bell in the Joe Gibbs Racing No. 18 car, Roger Penske called on the former Indianapolis 500 winner to finish the job. 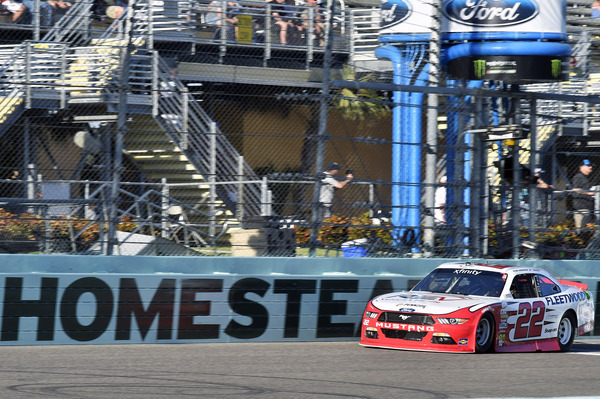 Hornish qualified eighth at Homestead, but Erwin remained poised as he and the team had built a car for the long run and they were confident it would deliver the championship at the end of the night. 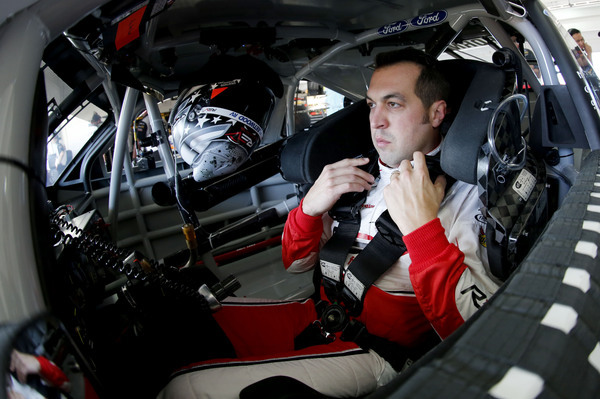 Hornish fought through some obstacles in the opening stages of the race, and as night began to fall over the speedway, it became clear that the team’s strategy had worked to near perfection. The Ford EcoBoost 300 ran under the green flag to its completion as Hornish ran conservative lap timesRichard Childress Racing Continues Longtime Partnership with Johnny Morris and Bass Pro Shops in 2018 to Celebrate Cabela'szzz on request of the team, and he finishing the race in the second position. The result clinched the fourth NASCAR XFINITY Series Owner Championship for Roger Penske in the last five seasons, a culmination of the collective team effort. For the season, the No. 22 Ford Mustang visited Victory Lane four times, with three different drivers, and recorded an astonishing 10 second-place finishes. The No. 12 Mustang produced two wins and served as a valuable team car when visiting tracks with new surfaces. Overall it was an impressive performance that brought Team Penske its second of three championships earned during the memorable 2017 season.